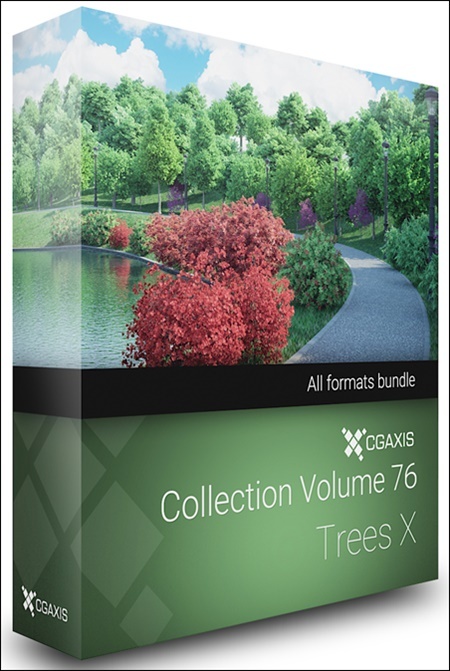 CGAxis Models Volume 76 – Trees X is a collection containing 32 high polygon 3d models of deciduous trees in various shapes and sizes. You can find in it: norway maples, red lapachos, red oaks, red maples, ginkgo trees, tulip trees, etc. Models are mapped and have materials and textures.